Mumbai is the city of dreams. People here work real hard to make big and fulfill their dreams. The long working hours, bustling fast-paced city life and unbearable traffic jams often leave Mumbaikars stressed out. If you are a Mumbaikar, you will definitely relate to it. What you need is a weekend break to reinvigorate yourself. Luckily, Mumbai is surrounded with many spell-bounding destinations that are ideal for a short yet rejuvenating getaway. Be it the panoramic hill points, historical forts, mesmerizing waterfalls or just the old world charm, there is plenty to explore near Mumbai. Matheran is a serene and beautiful hill station located in the Raigad district of Maharashtra. 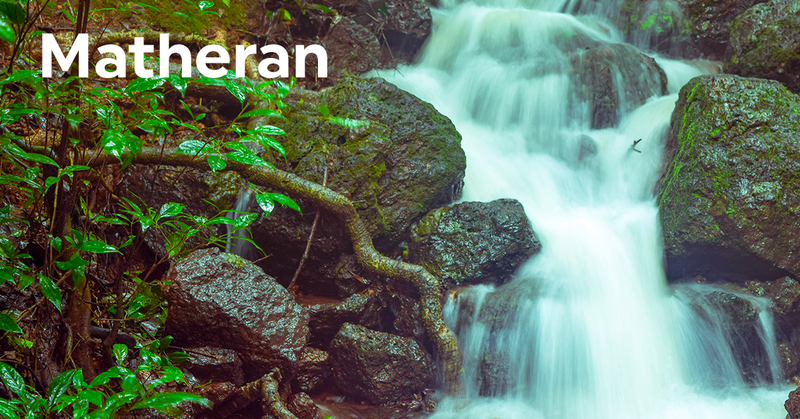 It was developed by the British in 1850 and later Matheran was established into a popular summer retreat near Mumbai. This hill station is about 80 Km away from Mumbai. Matheran is Asia’s only vehicle-free hill station and even the bicycles are not allowed here. You can only take your car up till a place called Dasturi. After parking your self drive car there, you can either walk up to Matheran (approximately a 50 minutes’ walk) or hire a horse/man-pulled rickshaw to reach your destination. You can enjoy trekking, walking, horse riding or visit Panorama Point, Louisa Point, Alexandra Point, Khandala Point, Shivaji’s ladder, Kalavantin Durg and Echo Point. 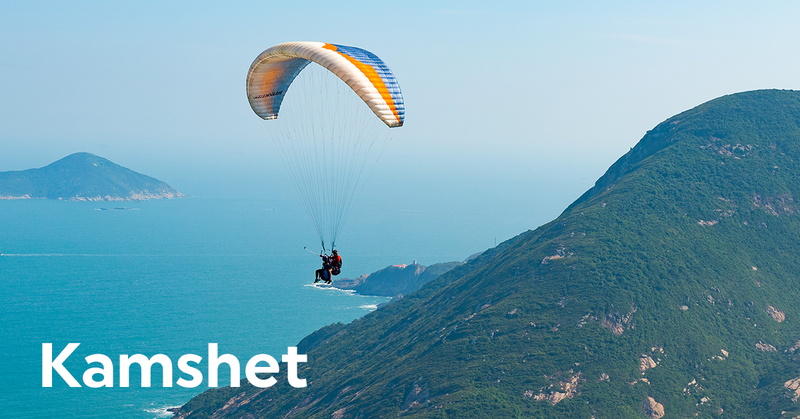 Kamshet, nestled in the Western Ghats about 118 km from Mumbai, is a beautiful hill station popular for Paragliding and other adventurous sports. This place is popularly known as ‘Para glider’s Paradise’. There are many paragliding points here that offer the perfect paragliding experience over the Pawana Lake and the beautiful countryside. It is the place for people seeking adventure near Mumbai. Apart from Paragliding, you can indulge in trekking, rock climbing, camping, etc. 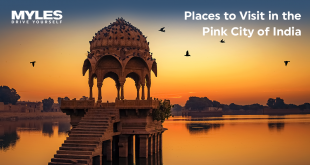 or visit places like Bhairi Caves, Kondeshwar Temple, Bedsa Caves and Bhandar Dongar. Lonavala and Khandala are the most popular and picturesque places to visit near Mumbai. Located on the Mumbai-Pune expressway, both these places are ideal to enjoy peace and tranquility. The lush green Western Ghats offer picture-perfect backdrop for photography. 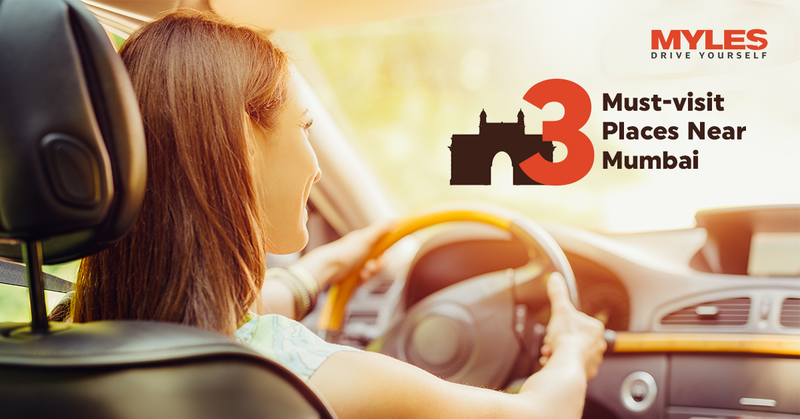 A drive of 83 Km in car rental Mumbai will take you to your destination. The best time to visit these places is during Monsoons, because the beauty of the Western Ghats is at its peak at that time. However, you visit the place all along the year. 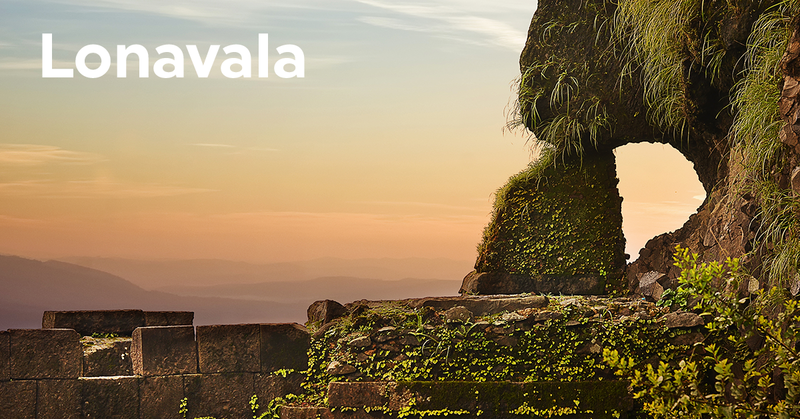 You can opt for trekking, camping or waterfall rappelling to make the best of your trip to Lonavala & Khandala. Apart from this, you can also visit Karla Caves, Kune Falls, Pavana Lake, Lion’s Point, Bhushi Dam and Lohagad Fort. If you’re planning a weekend getaway near Mumbai, please connect with us to book self drive cars in Mumbai.